"One of the most popular fighting games of all time returns! 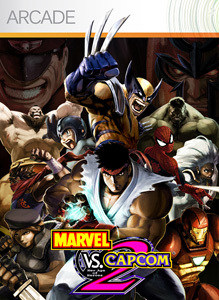 MvC 2 brings legendary characters from throughout Marvel and Capcom history to duke it out in an insane tag-team fighting experience. Featuring an unprecedented 56-character roster and now with enhanced HD graphics and online play, one of the best fighting games ever just got better! Buy it today!" "This Big Pack introduces 35 completely new tracks: 23 racing tracks and 12 skill game tracks. Five new tournaments include all the new tracks. For level designers the Big Pack provides more than 50 new crazy physics objects: car, rocket turbine, gravity field, wind, motor and many others! Three new fun achievements to unlock worth 50 extra gamerscore. 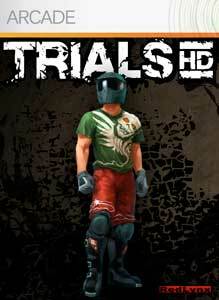 Fasten your helmet and prepare for serious bruises!" "LEGO Indiana Jones is back in his biggest adventure yet! Now you can whip, battle and build your way through all of Indy’s action-packed movie adventures, with a uniquely funny LEGO twist. Play ALL-NEW levels from The Original Adventures & your favorite new moments from The Kingdom of the Crystal Skull... Or for the first time, create your own levels to play with friends! New characters, abilities and modes like two-player drop-in, drop-out split-screen gameplay, lets you play together with your friends and family like never before!"